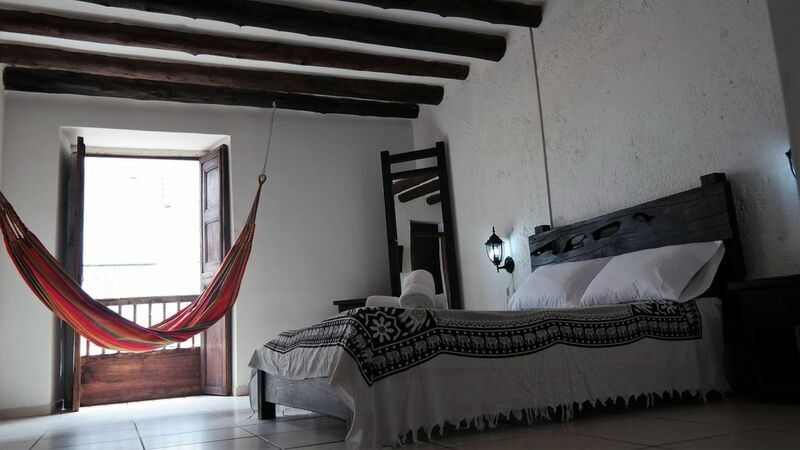 Hotel Casa Colonial - San Gil is located 100 meters from the Main Park and the Cathedral of San Gil. It has a wide variety of adventure sports activities that you can easily coordinate such as level V and level III rafting, paragliding in the Chicamocha Canyon or in Curití, caves, trekking and cycling tour among others. Each room decorated in colonial style has a private bathroom, cable TV, WiFi, fan, we have a kitchen equipped for guests, ideal for couples. At reception you will receive all the tourist information and you can buy tickets for the Chicamocha National Park, located 55 km away. Bucaramanga bus station is 200 meters from the property. Ask about our breakfast with a diversity of fruits from the region. Book with us your next destination with the best land transport companies such as Santa Marta, Cartagena, Medellin, Mompox among others.